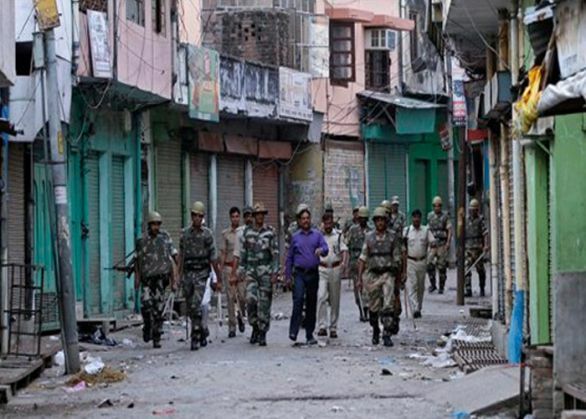 Five cases related to the 2013 Muzaffarnagar riots have ended in acquittal because the witnesses turned hostile, reports The Indian Express. Courts are hearing 175 cases in this connection, while the police are still investigating eight cases. In four of the five cases that have ended in acquittal, the government counsel was Sajid Rana who was removed by the Uttar Pradesh government after criticism for his handling of a case. On 12 January, five people accused of killing Shoaib, a 14-year-old, and Iqbal, 55, inside a mosque at Bajidpur village were acquitted. Ten witnesses refused to support the prosecution, including Kamruddin, who had filed the case. Shoaib's father Nazim said: "I have come to know Kamruddin took Rs 10 lakh from the family of the accused to change his statement. He also gave some money to my father Yameen to change his statement. Other witnesses also took money to give statement in favour of the accused." He added that he is willing to continue the fight in court if he and his family are promised security by the government. In another case, 11 Hindus who were named in an FIR filed by Fugana resident Mohammad Yameen for entering his house, thrashing his family members and stealing their valuables, were acquitted on 2 January, when the witnesses turned hostile. In the third case, nine men arrested for forcibly entering and damaging the house of Shaukeen Ali at Laak village in Muzaffarnagar were acquitted on 28 January after witnesses turned hostile. Sajid Rana was the government counsel in both these cases.